Today we’re introducing the lovely Agave skirt, which will soon become a staple piece in your wardrobe! 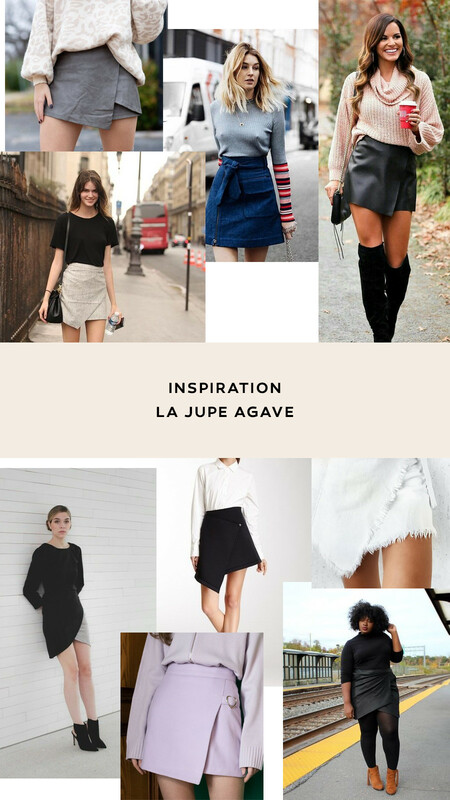 The Agave skirt was born of our desire for a simple little A-line skirt, one that would work with everything in our wardrobe and could be styled many different ways. Basic doesn’t mean boring though: from its asymmetry to the possibily of wearing it inside out, Agave can be a statement piece! 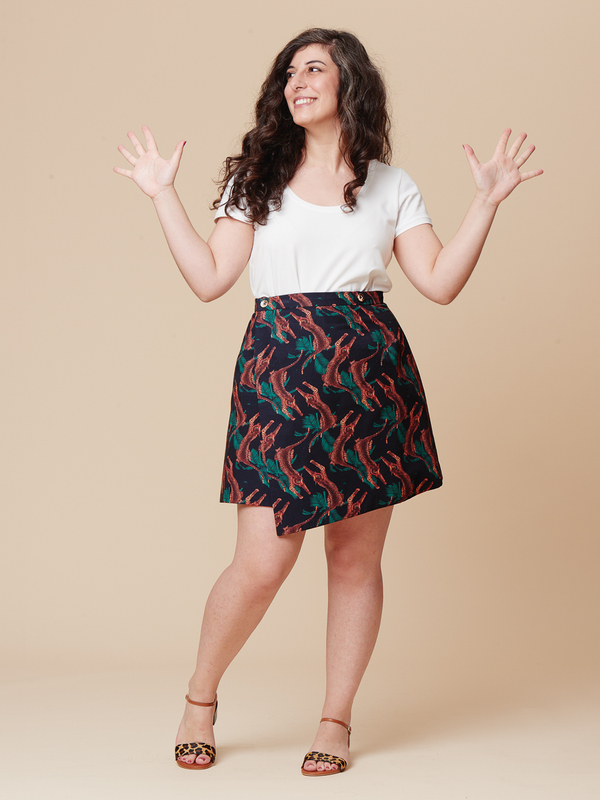 Agave is a wrap skirt with a strong personality! Its A-line shape plays well with every body type, and its asymmetrical cut is both sophisticated and unique. Agave has front and back darts which follow the curve of the back and mask the stomach, and is closed with two hidden buttonholes inside the waistband. But the true strength of Agave is that its version A is entirely reversible! 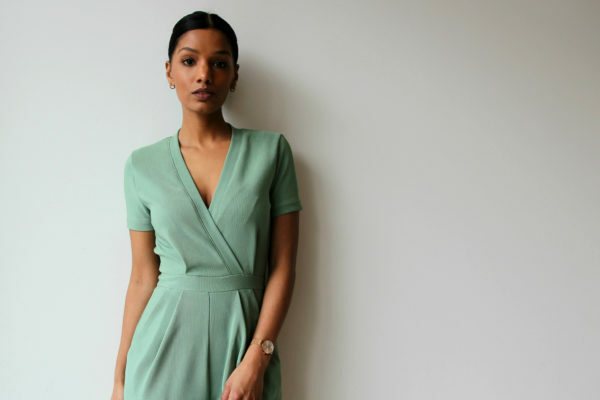 Ideal for a capsule wardrobe or for those of us who have little time to sew, you can make it using two constrasting colors or use a pattern and a solid fabric. This version is also perfect to transition from the office to after-work drinks: just turn it inside out to change your style 😉 . Version A features buttons on both sides so it can be turned inside out, so it’s a great canvas to have fun with novelty buttons – or you could go for a more subtle look with tone-on-tone. 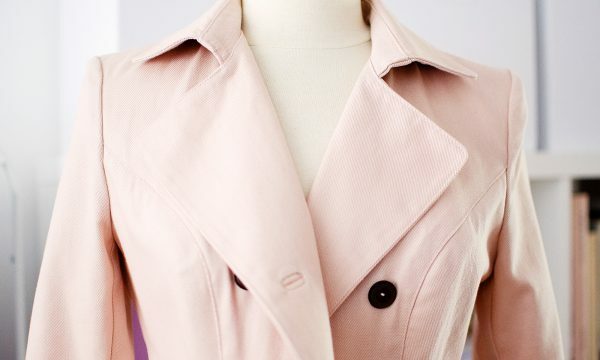 This version is also ideal for beginner sewists, since there is very little hand-sewing to do. The cherry on the cake is that it will help you use smaller cuts of fabric, as it only requires 1½ yards per side. Not a fan of reversible garments? Try the more minimalist version B of Agave, closed with hidden buttons. Its edges are finished with a facing that gives more body to the skirt, and allows you to use more advanced techniques for an impeccable finish. 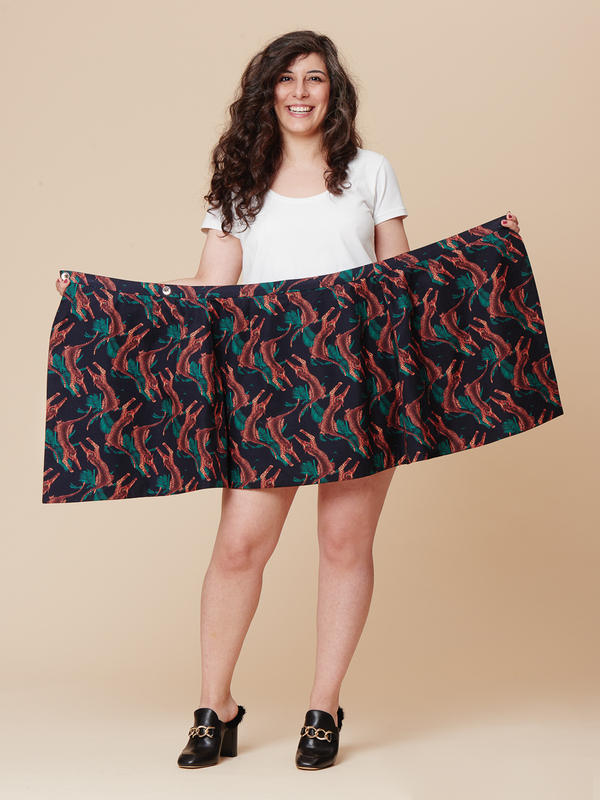 Get the Agave skirt in our online shop in paper (sizes 34 to 46) format, or in PDF format up to size 52! More on the recommended fabrics for this pattern in a few days.